This butterfly bush has done it’s job and attracted butterflies this year again. 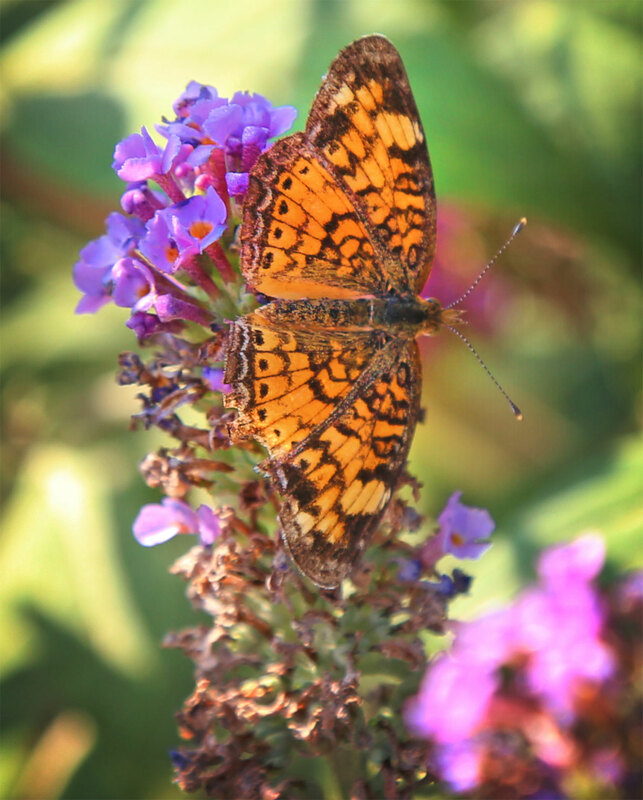 The contrasting colors of the orange butterflies and purple bush is a pleasant combination. Taken near Ovid by Rachel Burkholder on Thursday morning.